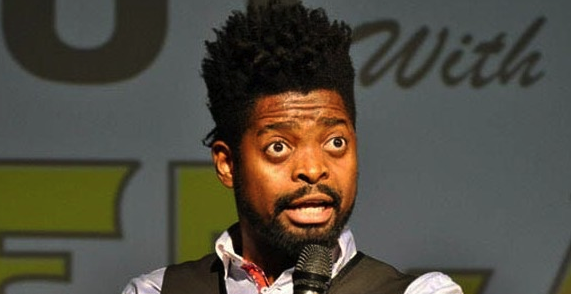 Popular Comedian Basketmouth has explained why he does not enjoy partying at night clubs. Speaking to a popular media outlet, Basketmouth said, "It's too stressful. I swear what I am about to say, some club owners would not like it. You go to a club, it's crowded, you can't dance, everyone is hitting you, the drinks are expensive. ''If you look at it at the end of the day, you are actually getting stressed out to spend your own money. I would rather just stay at home. Buy the drinks and keep it real. It's cheap. Call my friends to come to my house and drink. The money I would spend on a bottle of brandy in the club, I can use it to buy 3 at home. It's just #11,000 for a bottle (of a particular brand) but in the club, is it i #35,000? I be mumu? I be igbo, I save my money. No be club?"